Kestutis Smirnovas has been chosen to replace Kazushi Sakuraba to face Yoshihiro Akiyama on the HEROS 10/9 card after Sakuraba was diagnosed with damaged circulation to the base of his brain. Smirnovas lost to Sakuraba in the 8/5 HEROs event. 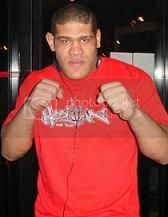 Antonio Silva (FIGHT CO.) def. Georgi Kaisinov (Marupro Gym) by KO in Round 1 at 1'18"
Hideo Tokoro def. Ken Kaneko by Submission (Armbar) in Round 1 at 1'50"
Gesias Calvancanti (American Top Team) def. Rani Yahira (Ataida Jr. Jiu Jitsu) by Submission (Guillotine Choke) in Round 1 at 0'39"
Yoshihiro Akiyama (Free) def. 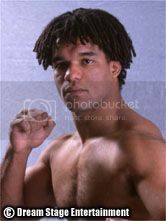 Kestutis Smirnovas by TKO in Round 1 at 3'01"
Melvin Manhoef (It's Showtime) def. Shungo Oyama (Free) by TKO in Round 1 at 1'04"
Kazuyuki Miyata (Free) def. Ian Schaffa (Rings Australia) by TKO (cut) in Round 1 at 0'49"
Carlos Newton (Warrior MMA) def. Tokimitsu Ishizawa (Freelance) by TKO in Round 1 at 0'22"
Don Frye (Freelance) def. Kim Min Soo (RINGS Korea) by KO in Round 2 at 2'47"